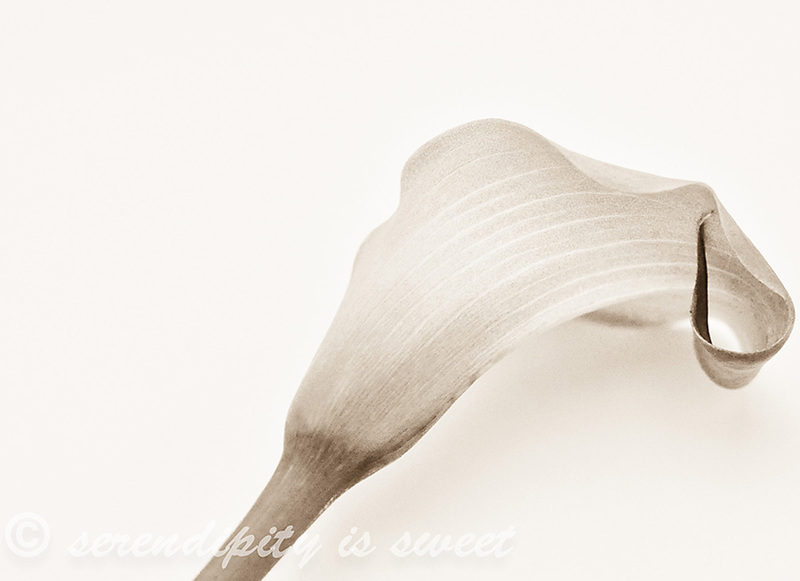 I love the clean lines of a Calla Lily. So simple and soft. Gorgeous, I think. Its beauty is so concise. Lovely! Wasn't it Diana Vreeland who said Elegance is refusal? I always think of that when I see such gorgeous but simply elegant flowers like these. 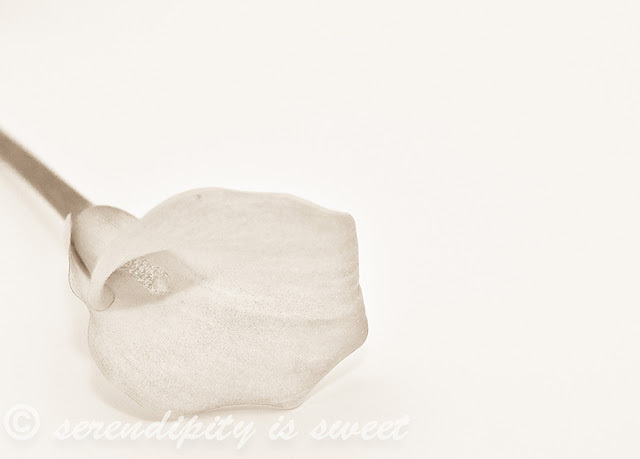 Favorite flower, hmmm, tricky. I'd say anything white and simple, such as a white Helleborus or even a humble white tulip. Beautiful photos! I can't pick a favourite flower! I tried to grow these beautiful flowers - and failed! Just beautiful! I'm partial to ranunculus and poppies... but who doesn't love a calla lily, too? So gorgeous! I'm not sure what my favorite flower is. I do like lilies a lot, especially Asiatic lilies. 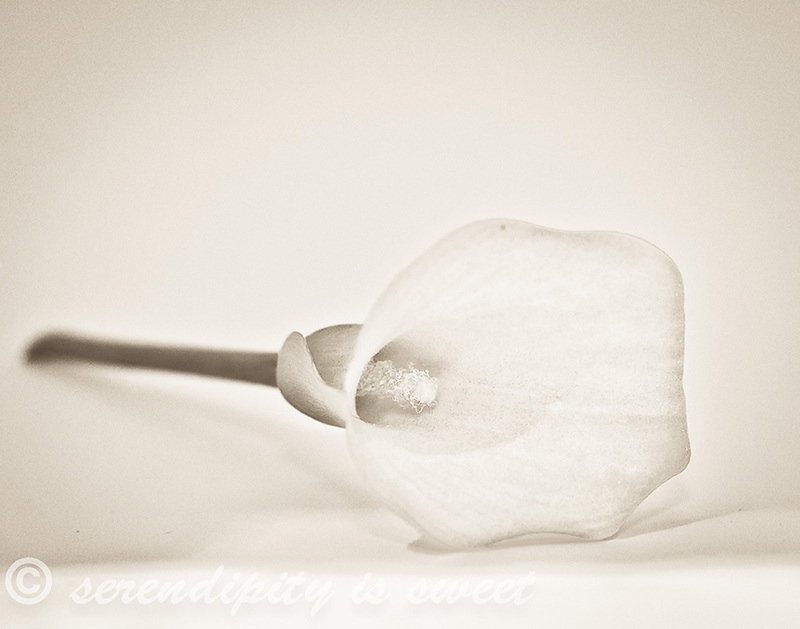 I love calla lilies. My wedding bouquet was a bunch of calla lilies...simple yet so pretty!